I recently worked at Vitamix for a few years and learned the health and nutritional benefits of chia seeds. Chia seeds are low in calories, a great source of antioxidants, and high in fiber. All great benefits if you are looking for something to help you get in better shape. 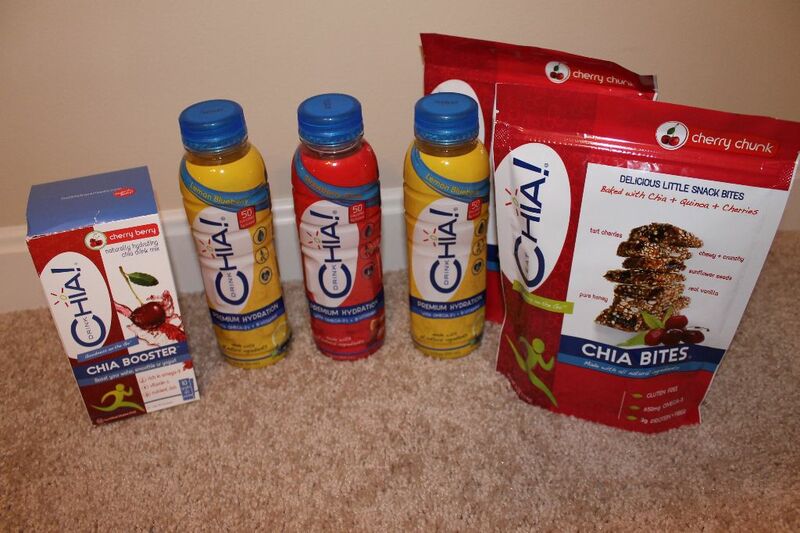 A few weeks ago on Twitter, I was approached by the Drink Chia folks to do a review of some of their latest products. This included a combination of the Drink Chia and Eat Chia products. Below are a few pictures of what I received in the mail to sample and review. Having tried all of the Go Chia products, I must say that these all are absolutely amazing. Not only do these products provide the necessary vitamins and antioxidants, but they all taste amazing. By far, my favorite item was the Cherry Bites. These treats were simply amazing. Healthy, easy to pack, and filled me up. Below are a few more details about each of the Go Chia products. I am always looking for ways to refuel after hard workouts and I recently had the opportunity to try the Drink Chia products. Drink Chia products claim to provide a natural hydration solution with whole organic chia seeds. 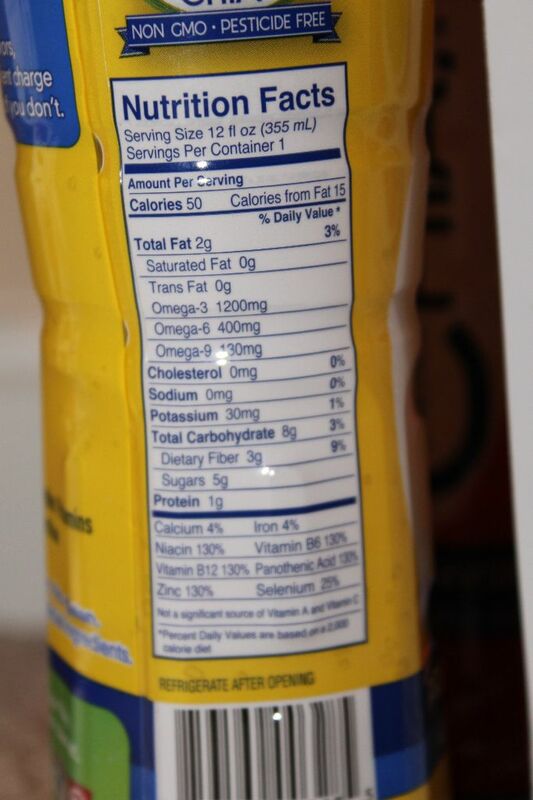 Additionally this drink provides a low-calorie (40 calories), low sugar (4-grams) drink. Upon trying out the Strawberry Citrus and Lemon Blueberry drinks, they not only tasted great, but made me feel great. I was a little worried about drinking chia seeds, but ended up enjoying each and every sip. I preferred the Strawberry Citrus more than the Lemon Blueberry. Healthy snacks are important for a number of different reasons. 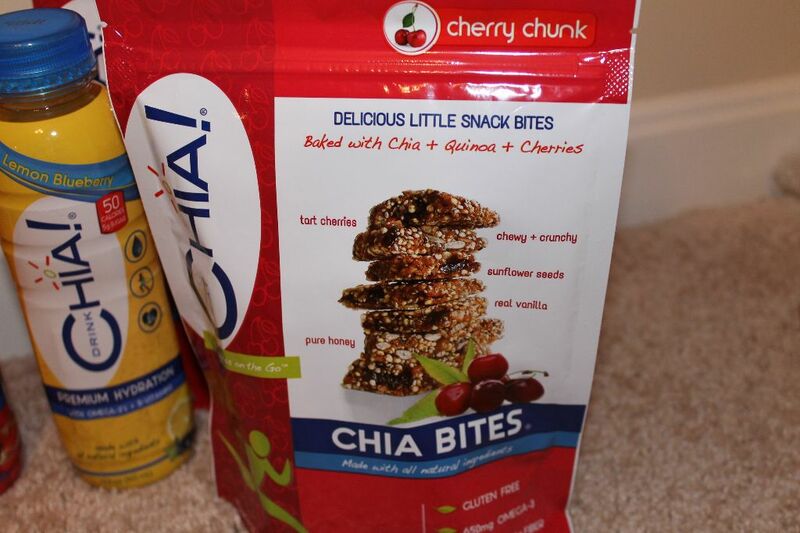 When I tried the Eat Chia products, I was excited to try a new snack that is not only healthy and great tasting. 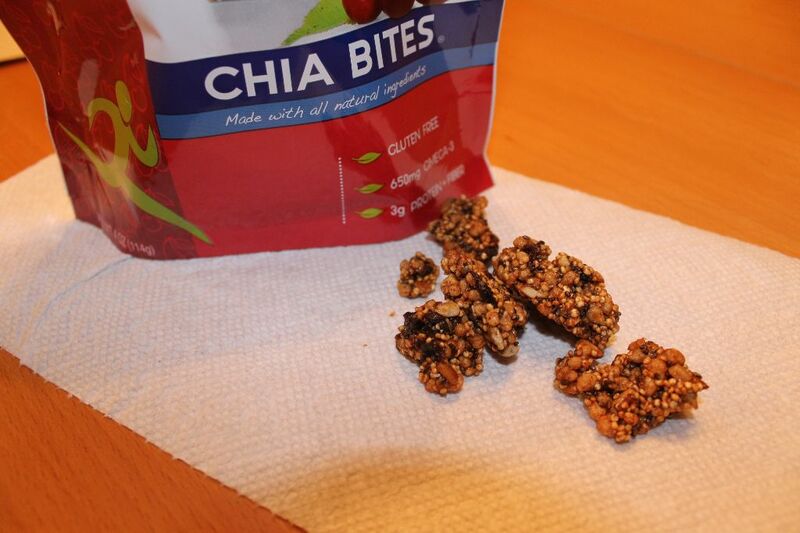 The Chia Bites come in two flavors, Chocolate Chunk and Cherry Chunk. The flavor I tried was the Cherry Chunk. 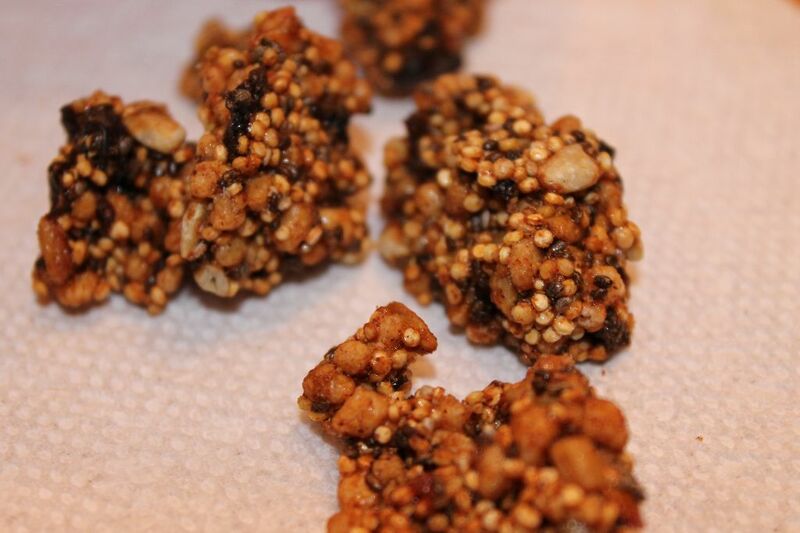 The Cherry Chunk Chia Bites were incredible. These healthy bites have 3 grams of fiber and 3 grams of protein with each serving. 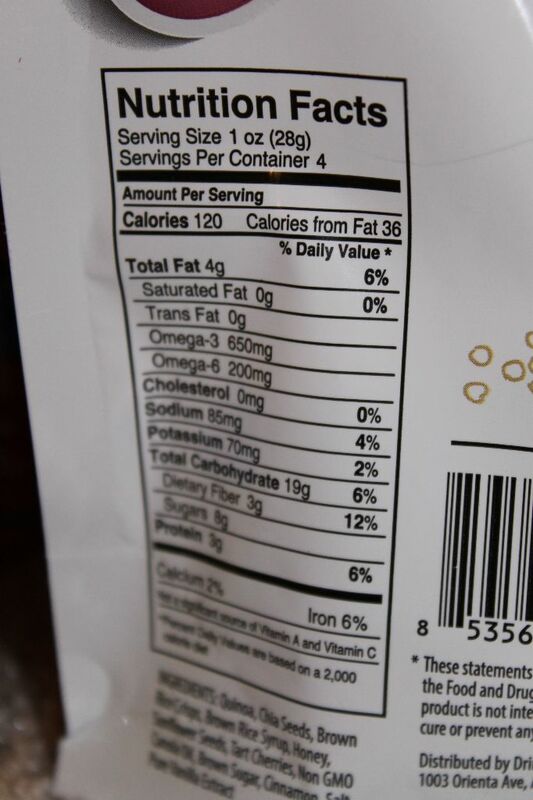 In addition to the great taste, they are also low in calories. I literally could have eaten the entire bag. Highly recommend these. If you enjoy smoothies or want an easy way to consume simple nutrients, you need Drink Chia Boosters. These simple, great tasting boosters are simple to use and consume. Every morning I mixed in a Chia Booster with my smoothie made in my Professional 500 Vitamix blender. The sample pack provided was the Cherry Berry + Vitamin C booster. 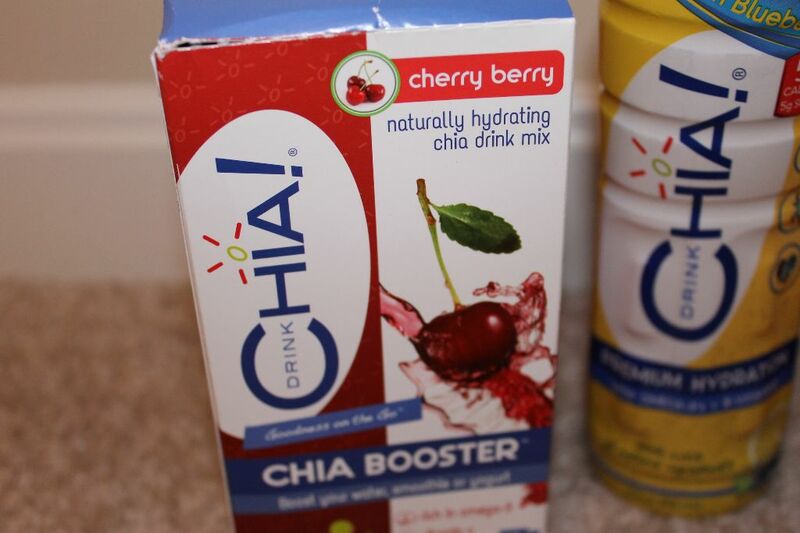 As I mentioned with the Chia Bites, I would certainly recommend these boosters. They improved my smoothies and provided simple nutrients with the mix of a smoothie. 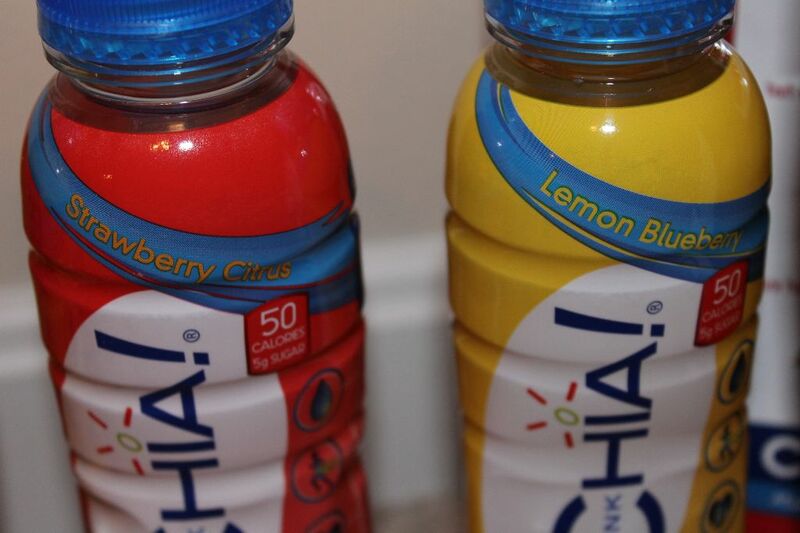 Similar to the Drink Chias, these come in multiple flavors. The flavor options are 100% Chia Seeds Booster, Lemonade + Super Greens, and Cherry Berry + Vitamin C.
I would certainly recommend trying the Go Chia products. As I mentioned above, they give you the necessary vitamins, fiber, and antioxidants, but they all taste amazing. If the price was a bit lower, I would eat and drink these daily. At the minimum, I would try the Eat Chia products. Hope you enjoy like I did! Have you tried any of the Go Chia Products?